Thank you for visiting our 2015 Payment Calendar. Please see our 2018 EPN Payment Calendar for the schedule of upcoming payments. If the 22nd occurs on a weekend or holiday, ePN will pay on the next business day. If the 22nd occurs on a Friday, ePN will possibly pay on the Thursday before but more likely on the Monday after. Our payment dates are timed to avoid PayPal software release dates. However, if PayPal changes their release dates during the year, it could change our payment dates. If this happens, we will try to let you know in advance. If an unforeseen issue delays payments, we will address the problem as quickly as we can, and strive to keep you informed along the way. 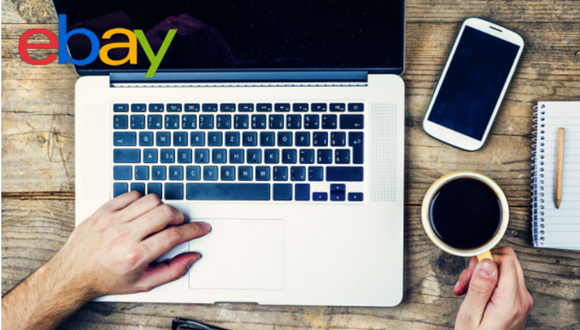 Calendar payment dates refer to the dates when eBay disburses funds to publisher accounts. Please note that, in the case of publishers paid via Direct Deposit, individual banks have their own processes that may involve additional days to settle funds deposited via direct deposit. We hope this helps, and as always, we welcome your comments and suggestions. If you have questions regarding payments, please contact us or email us at: epn-cs-english@ebay.com. 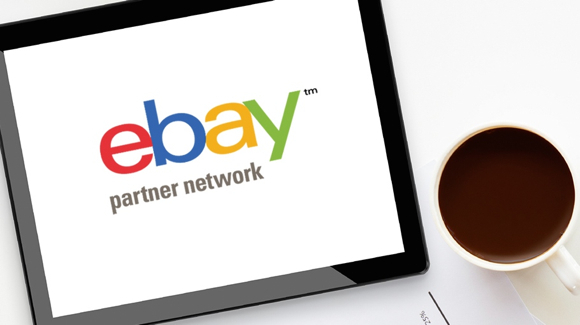 Thank you for your ongoing partnership with eBay Partner Network. We regularly analyze our pricing structure and wanted to let you know that we will be realigning our global rate cards, effective March 1, 2017. Next time you log into your account, you should see these changes. There’s more to come – we’re currently working on several additions, including some general design and UI updates that will make viewing what’s most important to you easier and faster than ever before. Please stay tuned, and in the meantime, let us know what you think in the comments below. While our Full Downloadable Feeds offer access to thousands of item-level listings, we understand that this list can be hard to sift through. That’s why we have introduced a new field in these feeds to help you identify and display the items that have the best chance of converting. This new indicator provides a way to help you optimize your efforts when working with Full Downloadable Feeds. If you’re not yet familiar with these feeds, they are daily files of eBay listing data that you can use to cache eBay listings in your own system. They are most often used by publishers with high-traffic applications such as shopping comparison sites, loyalty programs and large portals. This new quality score is generated by a machine-learning model, which identifies and groups items to predict a likely conversion rate. If you’re already using our Full Downloadable Feeds, you’ll see this new indicator now included in a field titled itemScore This score can range from 1 to 1000, with a higher number indicating that the item is more likely to convert. If you’re not currently using Downloadable Feeds but would like to learn more, you can watch this tutorial. And if you’d like to get access to these daily Downloadable Feeds, you can email us at epn-cs-english@ebay.com. Please let us know in the comments below if you have any feedback or questions. Should You Consider Outsourcing Your Content Marketing? Affiliate marketers wear many hats, and it’s likely that the ‘content marketer’ hat has made its way into your rotation a time or two. How do you know when it’s the right time to rock it, and when you should pass it over to someone else? As technology evolves, content marketers face a variety of choices that weren't available in the past. It's difficult to strike the perfect balance between automation and manual work. You want to work smart and lessen your load, but you don't want to come off as overly automated or robotic. But by carefully navigating the waters of outsourcing, you can delegate content creation at appropriate times while maintaining control of your voice. Your audience wants to see fresh, updated content as often as possible. But that doesn't mean every similar piece of content must be rebuilt from scratch. Repurposing content is one great way to reuse useful information without having to start from square one. Take note of your existing content, and look for ways to extend it across all relevant channels. For example, repurposing parts of blog posts into social media statuses is both a quick and genuine way to reach your audience on a new platform. Outsourced content is a hot topic in today's digital marketing landscape. Many experts insist you should be doing it, while others argue that putting your content and voice in someone else's hands is a tricky game. The question affiliates must ask is whether they have the time and bandwidth to effectively execute their content marketing strategy. If you're working with very few resources or growing rapidly with a heap of distractions, outsourcing may be the right move. Another indication that it’s time to outsource is if you’re lacking some of the necessary skills to get all aspects of the job done. Curating content, engaging the audience, performing research and creating graphics are just a few of the skills utilized in content marketing. You may have one team member who can do it all or several to juggle the tasks. But if you’re uncertain about any of these aspects or if you’ve seen questionable results thus far, it may be time to hire an outside professional. 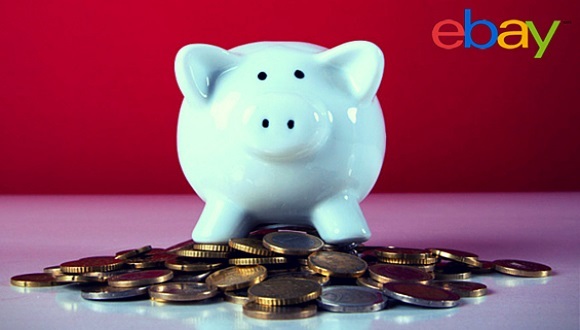 Budget is another factor to assess when deciding whether to outsource content marketing. Typically, affiliates with marketing budgets of less than $1,000 per month won't be able to afford an agency. But any business can pinpoint critical times to hire freelancers for projects through services like Scripted, Fiverr, 99designs and Copyblogger. This may include holiday marketing campaigns or campaigns just before the launch of a new product. For some inspiration beyond outsourcing only writing-related tasks, Shawn Collins, Co-founder of Affiliate Summit, shares five interesting ways he’s used Fiverr. One major aspect of content marketing is writing - grammar, idea generation and storytelling are just some of the skills your writers must have. When it comes to hiring writers who make a genuine impact, a conceptual understanding of your voice is essential. Affiliates can create a basic sheet of brand information and goals so that writers can get acquainted immediately. It's also wise to review previously published work to judge a writer's level of industry knowledge and social media impact. Affiliate marketers can still make a personal connection with their audience while automating and outsourcing content. By using these guidelines to know when it’s right to outsource, you’ll have more time to focus on optimizing your campaigns and earning more with EPN. The Performance Marketing Association has announced that after years of being fueled by volunteers on its working Board of Directors, it has hired an Executive Director to oversee strategy and day-to-day operations. Tricia Meyer is not only the PMA’s new Executive Director, but she’s also the owner of EPN affiliate Sunshine Rewards, among other niche websites. Congrats, Tricia! EPN partner Agnes Hasszanne Szondi brought this article and infographic to our attention. Click through for all kinds of facts and statistical goodness about the current state of the Internet. For example, did you know that more than 10,000 Tweets are sent every single second? EPN partner Gerri from NinetyNine Ways talks about accounting tools that you can use if you’re an individual or small business owner. In this post, he talks about the importance of accurately recording expenses and invoices, and explains how you can easily keep track of them with online software. When EPN affiliate Theo Palios was ready to replace his old Acer PC with a newer model, he found himself in a situation familiar to many: Everything he came across was either too expensive, underpowered or just plain unattractive. So he decided to purchase the components and build a more powerful PC with a much smaller price tag. Read this post to see if this solution could work for you. New technologies, new insights and new best practices emerge on a regular basis, and top publishers jump on these changes to stay ahead of the competition. In this article highlighting the latest SEO trends, you’ll learn why long-form content, sharability, video and mobile optimization are now more critical than ever. To see your news featured here, post a comment with a link to your timely and relevant content for consideration in our next roundup. In fact, early results have shown conversion rate improvements, which should translate into increased sales and commissions for you. Because more than 80% of the items sold on eBay are new, the ability to differentiate among duplicate items has become increasingly important. For example, it would be helpful for buyers to know that multiple iPhone 6 listings are essentially selling the same product, so they can more easily find the item they want, at the best price. Another way that this initiative should enable you to provide an improved buyer experience is that you’ll be able to deliver more pertinent and focused landing pages. This is possible because while a link that leads to an eBay listing page may expire, a link to an eBay product page could live in perpetuity. You’ll be better equipped to compare products across eBay and compared to other merchants, so you can provide your visitors with the most relevant items at the best prices. This is a major evolution in the way that eBay handles data, and the ecommerce experience that we are able to provide. If you have any questions about this topic, please let us know in the comments below. We’ll continue to provide updates on new milestones in this endeavor.